I don't know about you but I love weekends!! Especially if it's a long one. I mean, who doesn't want to relax, chill, unwind or explore a new place? Last weekend, Singapore enjoyed a long weekend because of Chinese New Year. Gong Xi Fa Cai everyone! 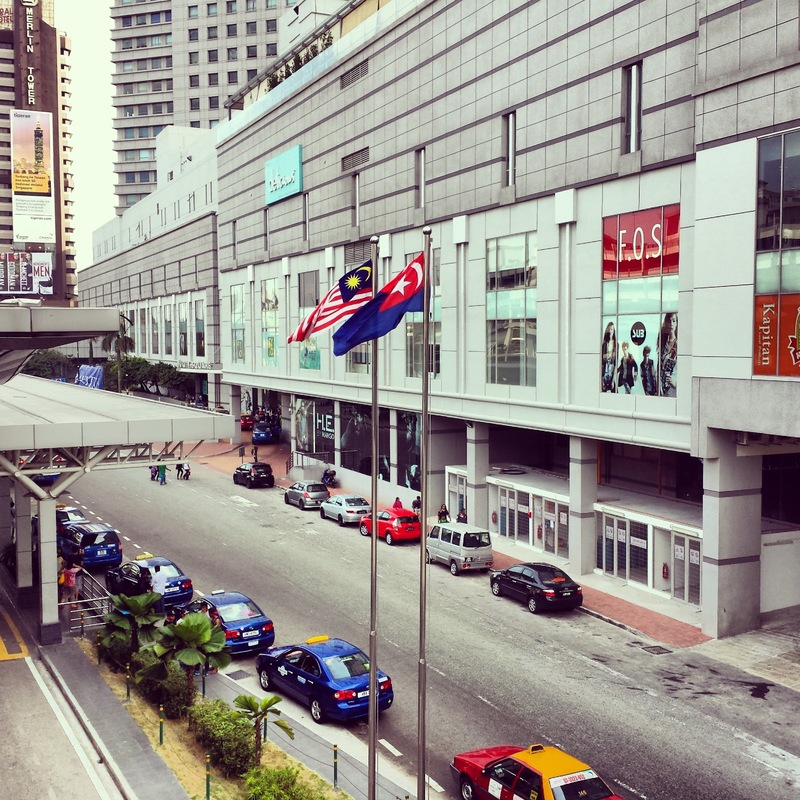 And because of that most of the malls in Singapore are closed so me and my husband headed to Johor Bahru Malaysia and went malling to City Square Mall. 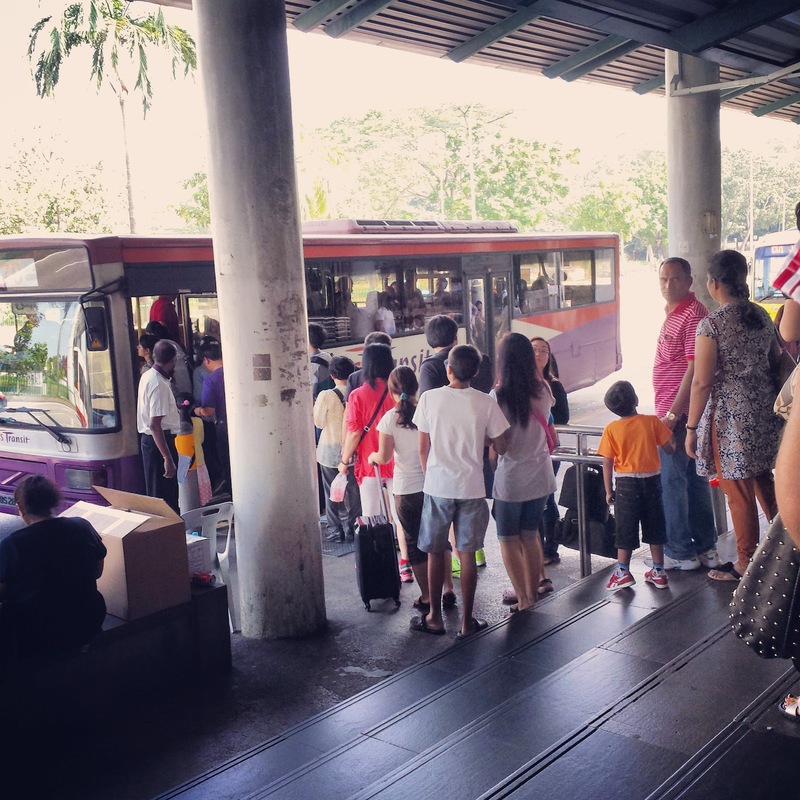 You don't actually need to book a trip to get there just head to Kranji MRT. There are buses leaving to Johor Bahru Malaysia almost every 5-10 minutes. Johor Bahru Malaysia is actually just a stones throw away from Singapore. Seriously, it's just less than an hour drive from Singapore. From Kranji MRT, turn right from the exit. There are sign boards leading you to the bus stop and which buses to take. You will notice a long queue in the bus waiting area. So it's not actually hard to find. It took us 10 minutes queuing before the bus arrived. First stop is the Singapore Immigration. The trip took 10 minutes to Singapore Immigration. We alighted from the bus stop and have our passports checked at the immigration. It wasn't a long queue as there are lots of immigration officers doing the check. It took us less than 10 minutes to do this and after that we took the bus ride again. 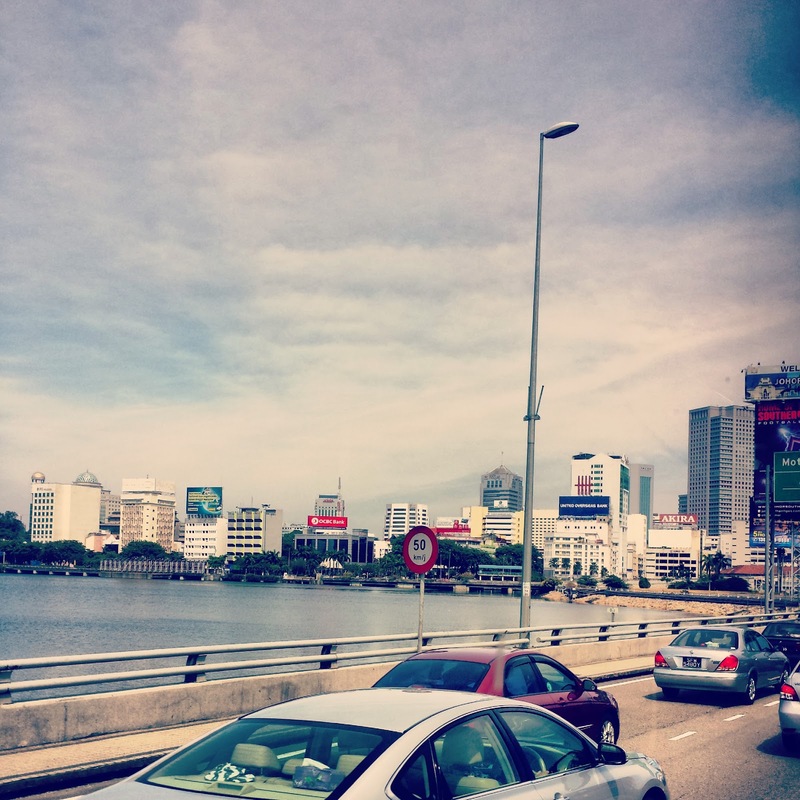 Here's a photo of Johor Bahru Malaysia taken from the bridge connecting Singapore and Malaysia. Second and final stop is at Malaysian Immigration. The journey took us 7 minutes but I think it would be much lesser if not for the traffic jam. Plus it was a long queue. Maybe because there are lots of people going home or visiting Malaysia as well. The queue took us 45 minutes. After getting checked we exited the building and went straight to City Square Mall which is just at the opposite side of Malaysian Immigration. So that means you don't need to take the bus ride again. Just walk to the mall. There are sign boards on where to go so you don't have to worry getting lost. Before heading to the mall we have our Singapore Dollars changed to Malaysian Ringgit and headed straight for lunch. It's already lunchtime at the time plus all that queuing made us hungry. From Malaysian Immigration to City Square Mall it will only take 5-10 minutes walk. When we arrived at the mall there are only a few bunch people compared to normal days where it's packed. It's a good thing though since we don't have to queue up for lunch. But the downside is there are also a handful of stalls closed. 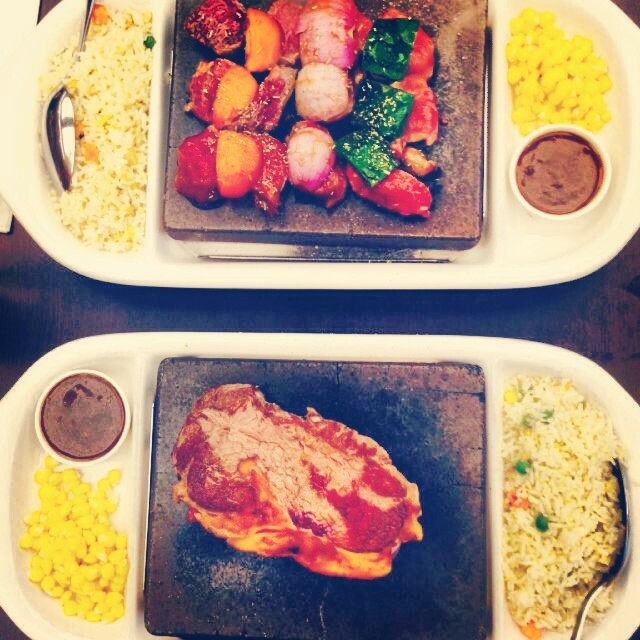 My husband suggested Sizzling Stonegrill for lunch. 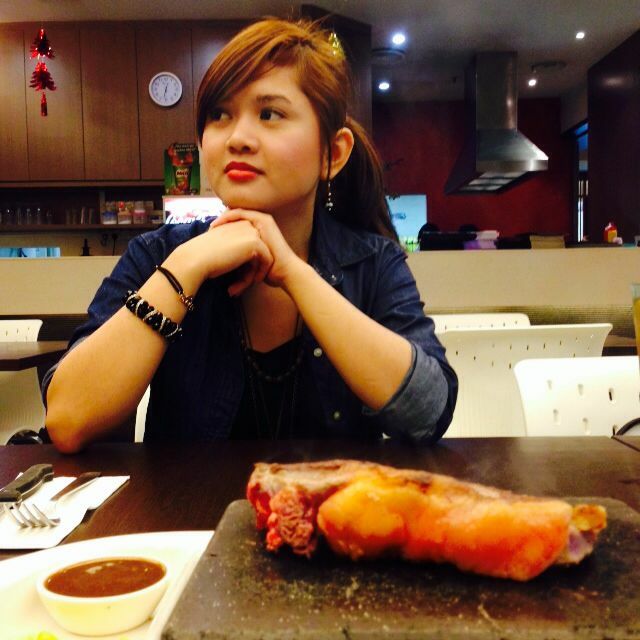 This is me waiting for my order while my husband is already cooking his'. By the way he really love taking random shots of me. 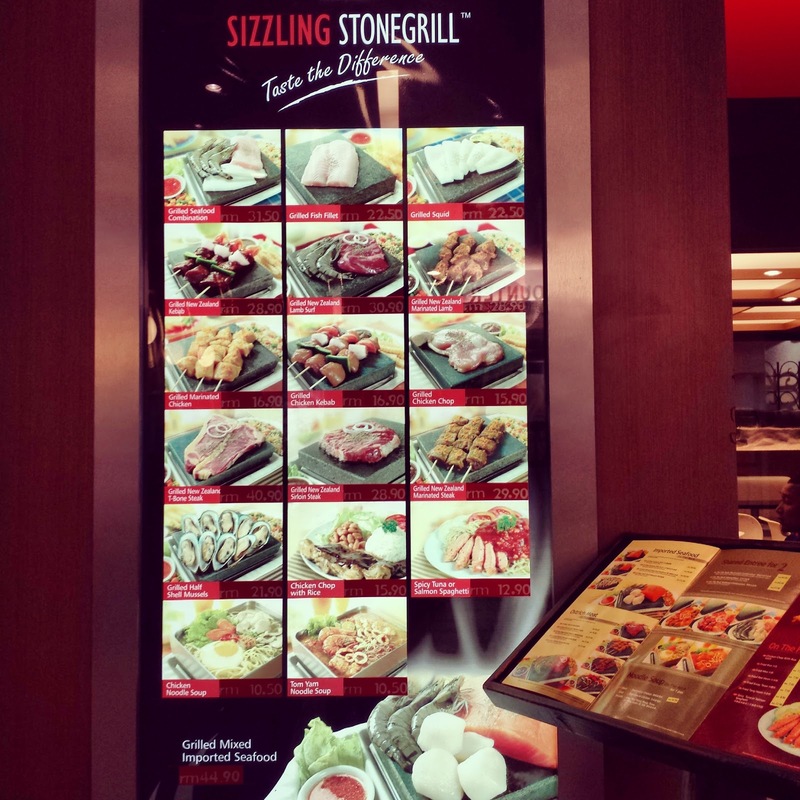 I find it interesting because you will be the one cooking your meat to the stonegrill provided. The food here was delicious. A must try. I love it! I wanna come back again and place another order. Plus we were so full that there's no room left for desserts. All in all we paid 72 RM for our food plus mineral water and ice lemon tea for our drinks which I believe is fair enough. We went up to the cinema located at the highest level to checked the movies available. 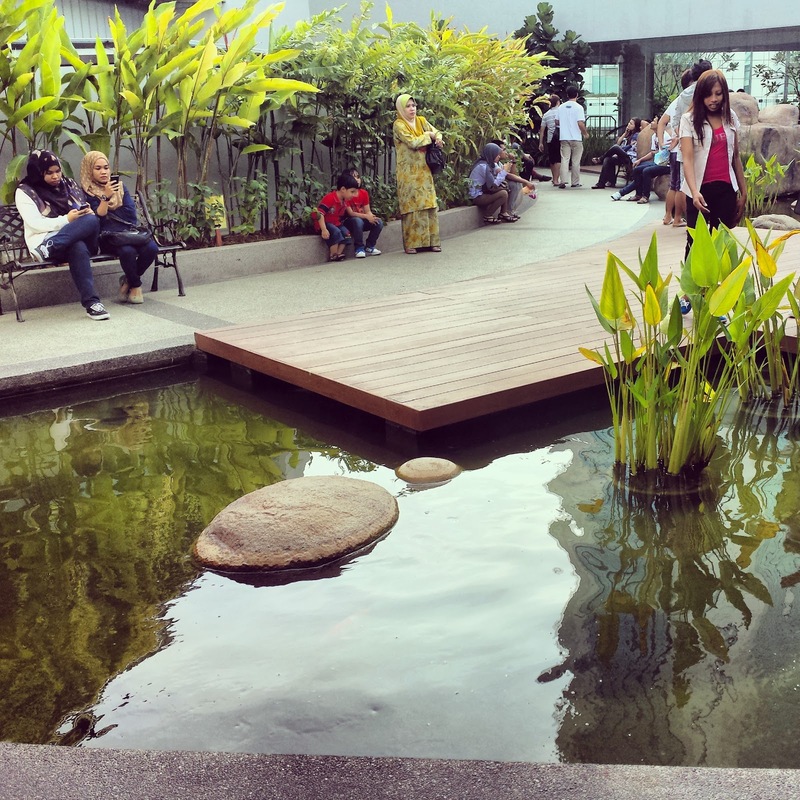 When we arrived there, I was surprised to see that there's an open space park with a fish pond complete with koi's at the area. We decided to watch RoboCop (it's a good movie, I would definitely recommend). The movies here are cheap compared to that in Singapore. It was managed by Cathay Cineplexes. We paid 28 RM good for two pax to watch the movie. We didn't enjoy a maximum shopping experience during our visit since a handful of stalls are closed. However, I noticed that there's not much price difference compared to that of Singapore especially with branded products. 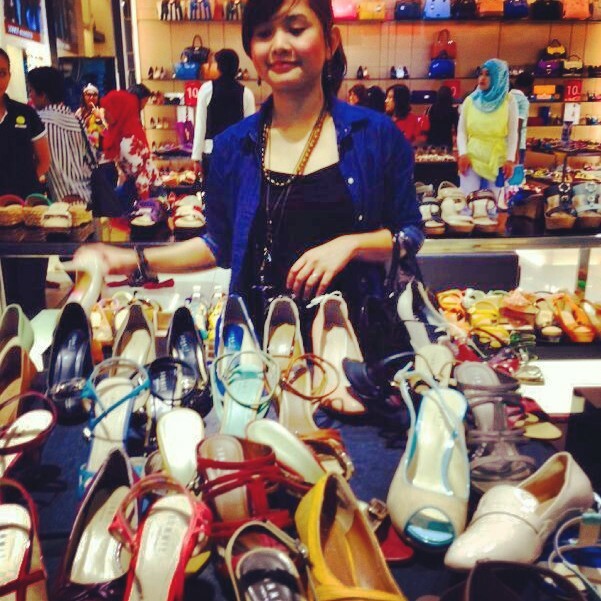 Here I am swimming in the sea of shoes. It's almost dinnertime and I have spent all our ringgits from shopping so we headed back home. The trip home was so smooth. No traffics and long queues at both immigration buildings (Singapore and Malaysia) so we arrived to Singapore earlier. 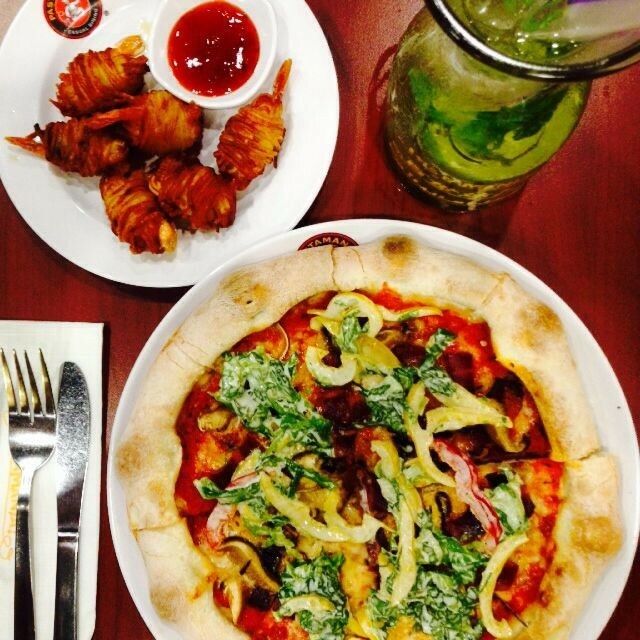 We headed to Pastamania at Jem. Our food took at long time to be delivered at our table. It was so long that we both noticed that we finish it so fast compared to the time we waited for it. Hahaha! And of course after dinner I headed shopping again. Ugghh!! How about you? How did you spend your Chinese New Year weekend? Let me know. Great post. The food looks delicious.